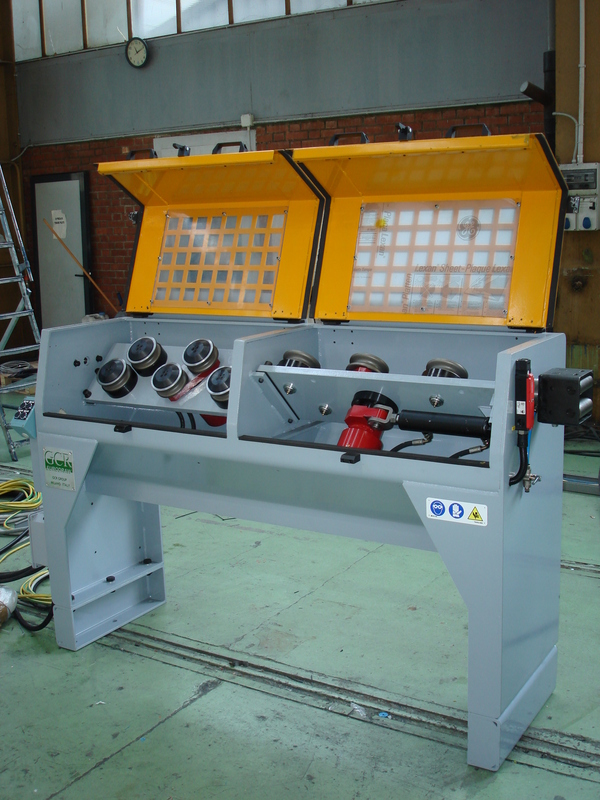 We will never stress enough how important it is to have a proper wire rod preparation line in front of a drawing machine. 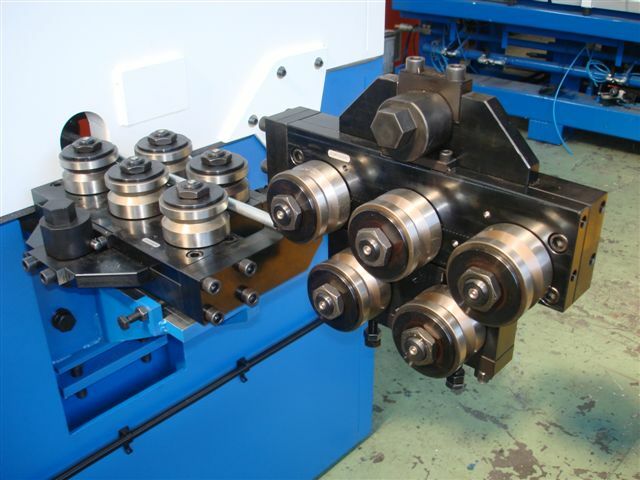 The wire rod preparation is essential to obtain a first class quality product and also necessary to obtain high production speeds. 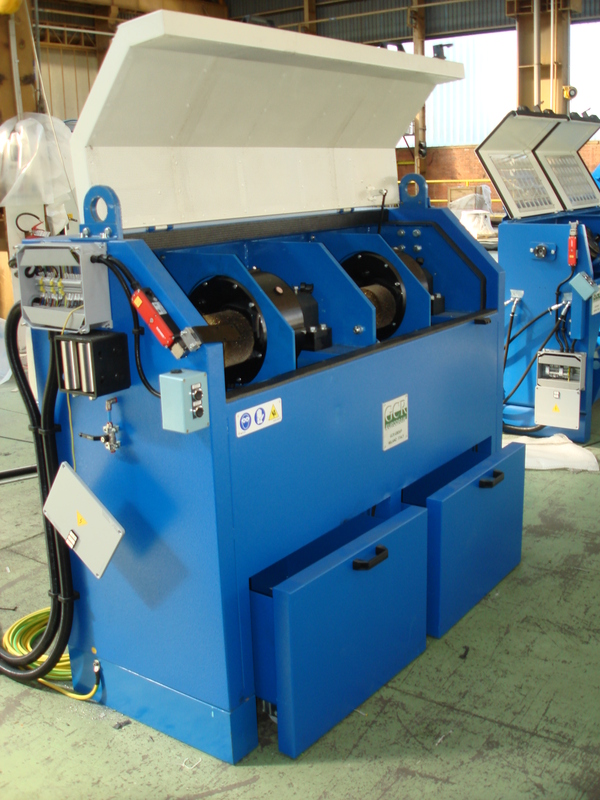 The main purpose of the wire rod preparation line is to remove the highly abrasive oxide layer on the surface of the wire. 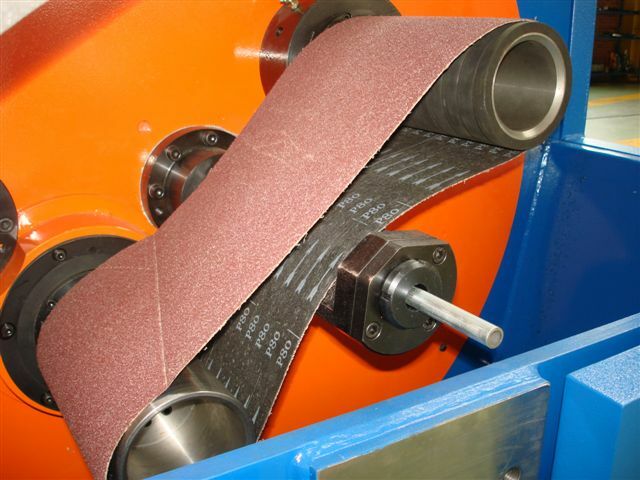 Drawing wire that still has an oxide layer on its surface means that the scale will be embedded into the wire and cause breakages or premature failure of the final product. 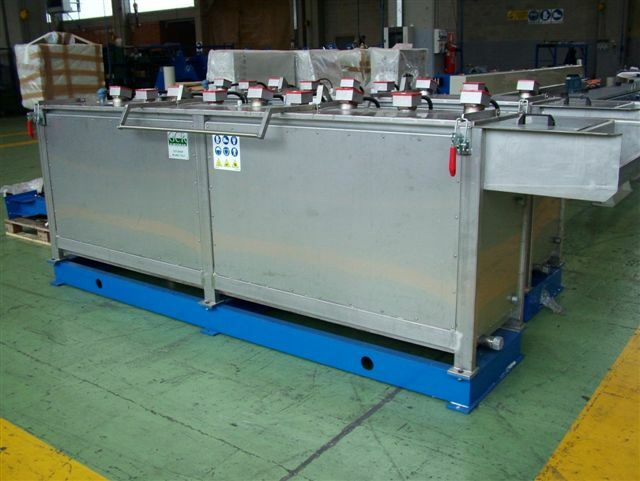 These lines are suitable for large productions and maximum flexibility in the coating. 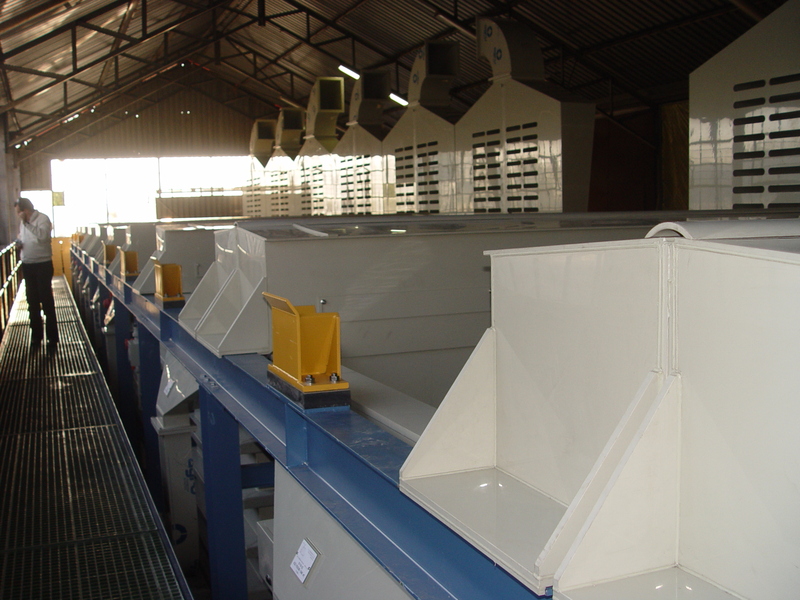 The movements of the wire rod coils are performed with computer controlled overhead cranes in order to follow the pickling and coating sequences as per pre-established procedures. 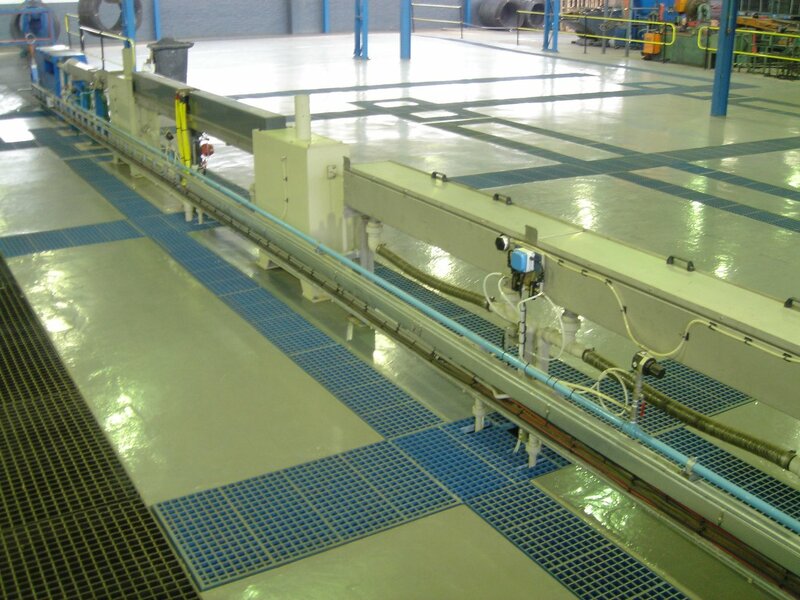 Our batch pickling lines can be designed with push -pull fume control technology or with tunnel fume control technology. 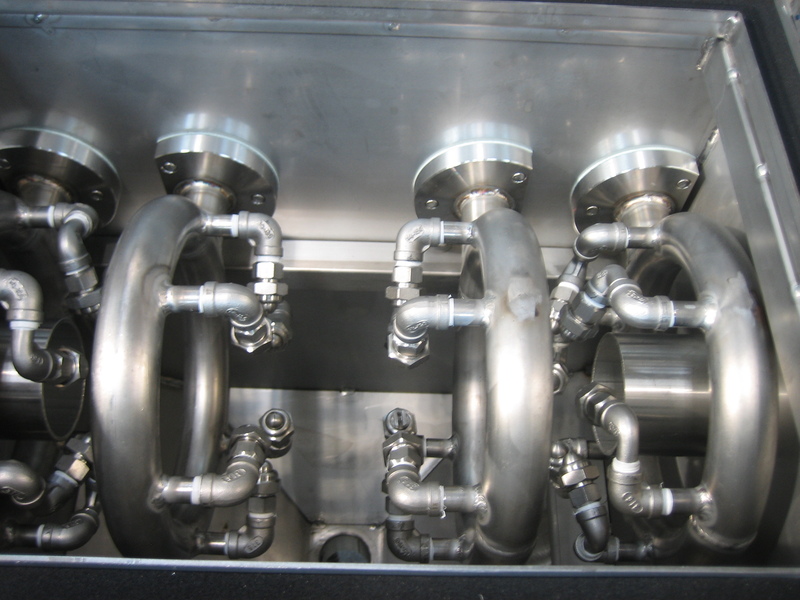 In this case the acid section of the line is fully enclosed into a tunnel that is connected to a vacuum system and a scrubber. 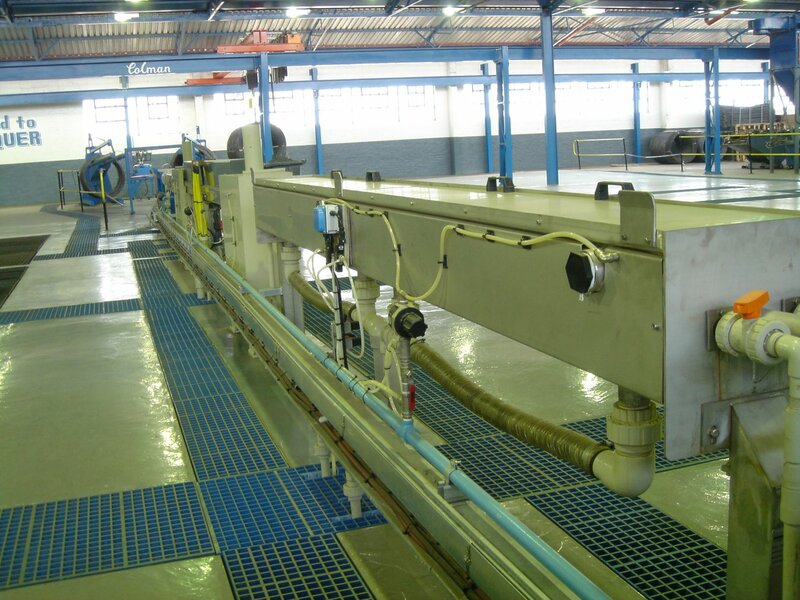 Our batch pickling plants can be completed with a waste water treatment plant that will neutralize and treat all effluents so that they can be effectively discharged without any harm for the environment. 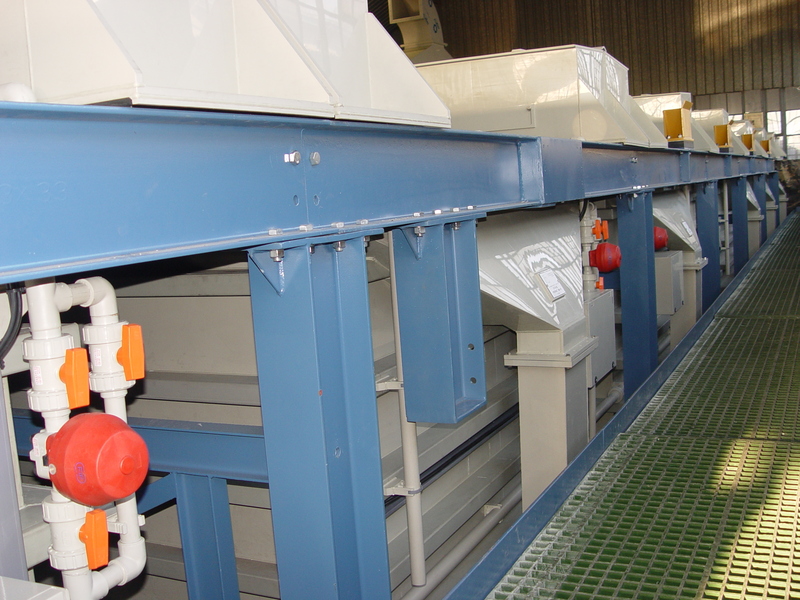 If the pickling uses H2SO4, it is possible to install a very effective acid recovery system that will regenerate all the acid used by separating the iron sulfate from the acid. 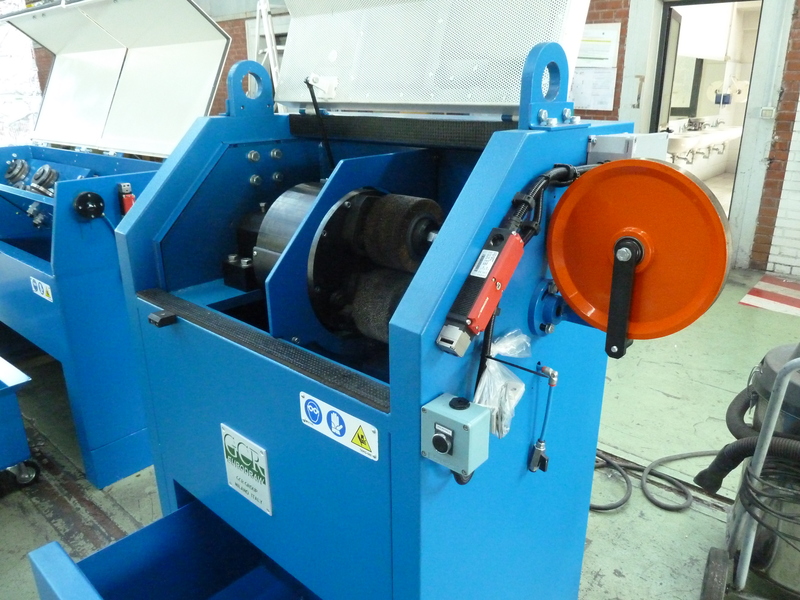 Suitable for high carbon wire rod preparation in line with a drawing machine: a simple and cost effective solution for small scale production of high carbon wires. 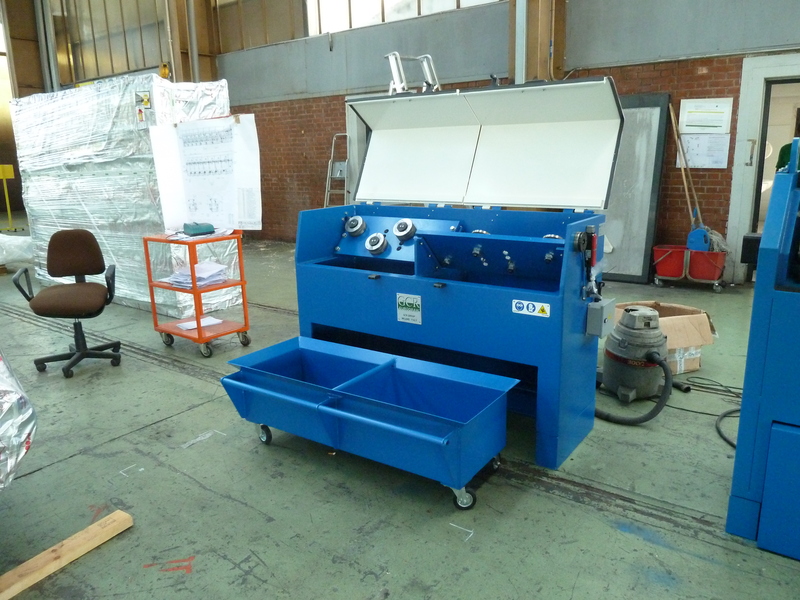 These lines can be equipped with an acid pickling section or can be configured without. 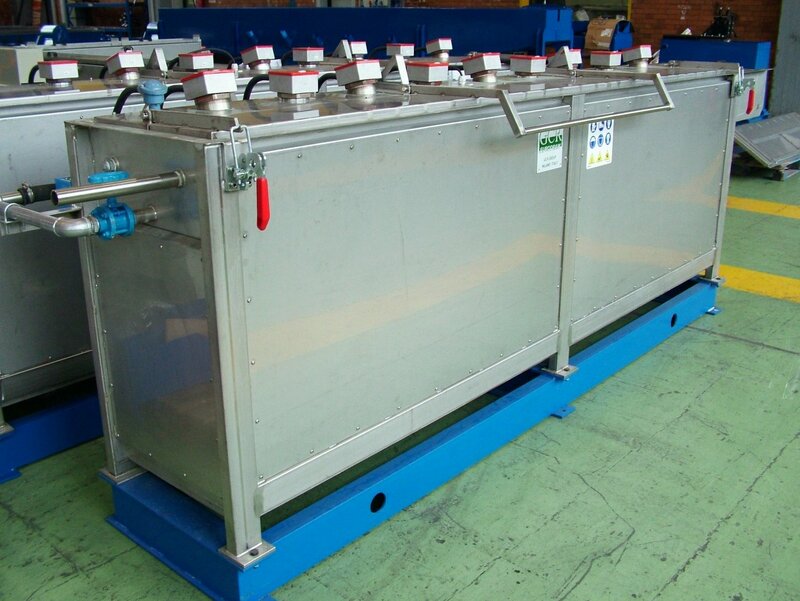 For particular applications, the line can be fitted with a electrolytic calcium phosphating unit so that the wire rod is coated with a lube carrier before entering the borax tank. 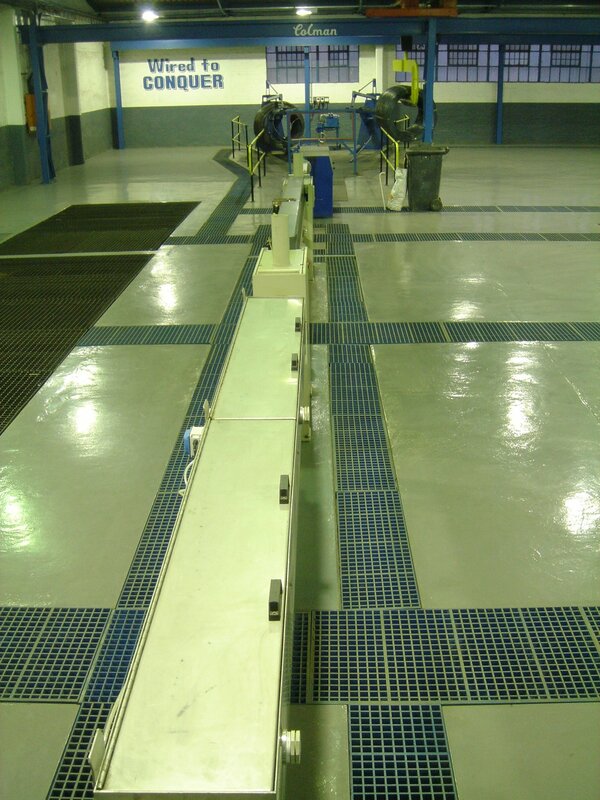 These lines can be configured with single storage tanks that are connected to various processing trays that can serve several lines. 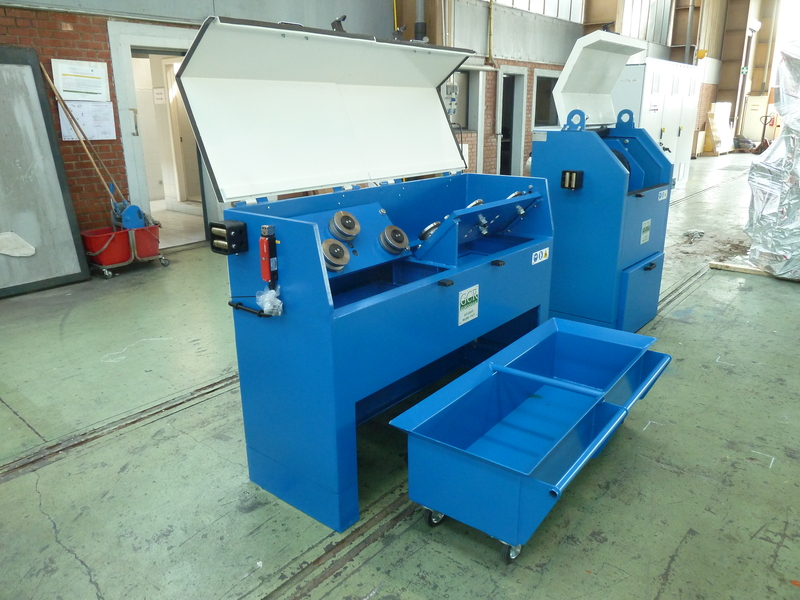 Suitable for low carbon wire rod preparation in line with a drawing machine: a simple and cost effective solution for production of low carbon wires. 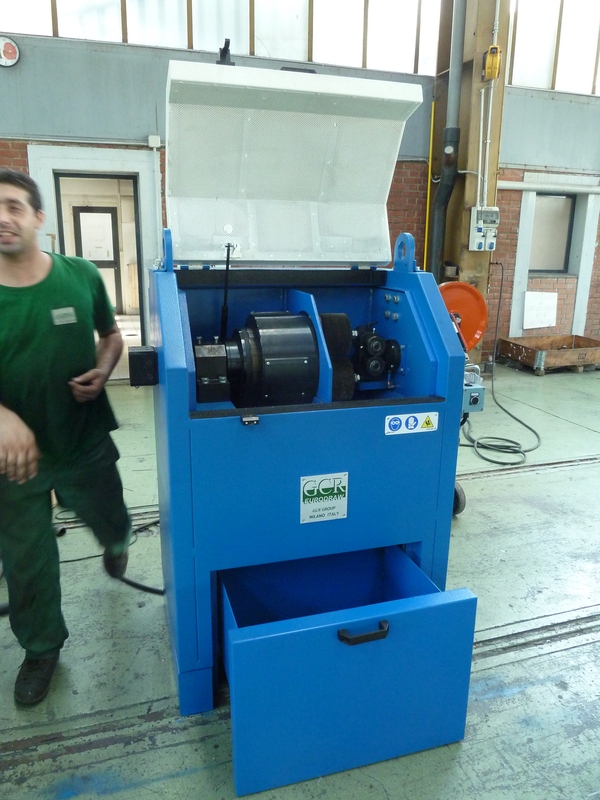 The wire rod preparation line for low carbon is fairly simple and foresees only a mechanical descaler and a brushing unit. 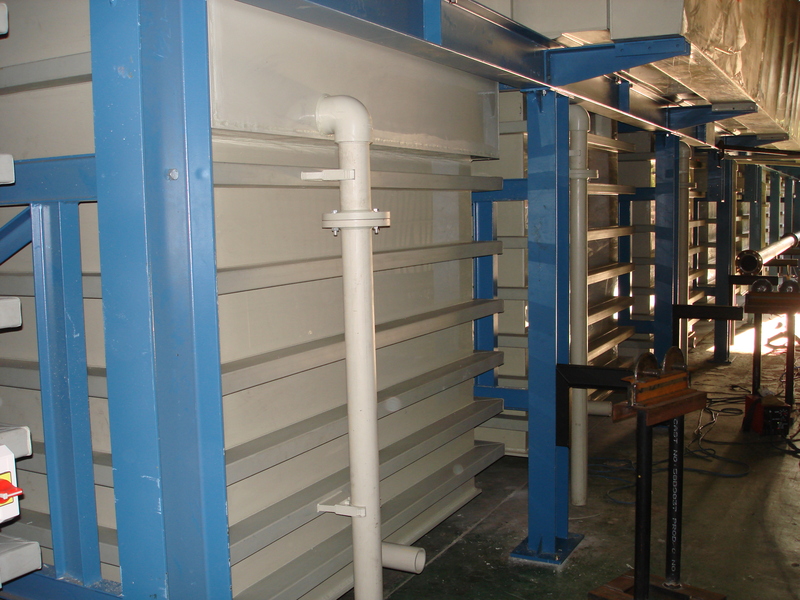 For particular applications the line can be completed with a steam pickling tube followed by a borax coating unit and induction dryer. 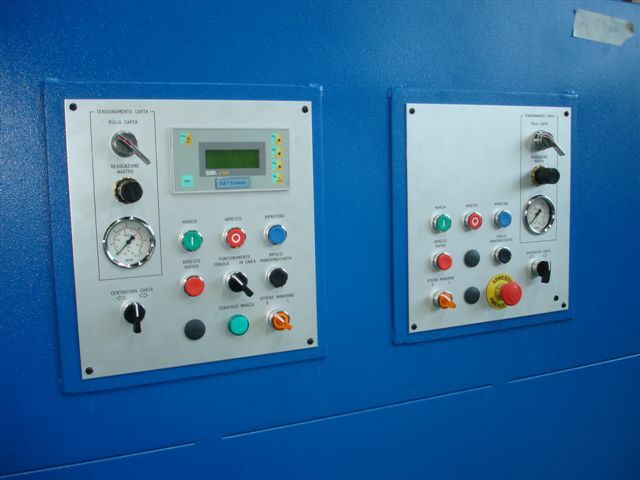 Hot air type unit: very reliable and simple to use, particularly suitable for larger wire rod sizes.